Limes are citrus fruits with so many health benefits; they aid weight loss, they protect the digestive system, they prevent and fight cancer and boost a healthy skin. The unique scent and acidic sour taste of lime juice make it a popular ingredient in various cuisines worldwide; it is also famous for its immense therapeutic properties; it is being used to treat lots of ailments and infections. This citrus fruit is also sought after for its high content of ascorbic acid (vitamin C); one lime daily provides 32% of the daily recommended intake for vitamin C, they contain very little fats, calories, and carbohydrates. The peels and pulps of lime contain antioxidants, fiber, polyphenols, terpenes, limonene, flavonols and other powerful phytochemicals that boost the overall health of the body. There are also rich in minerals and vitamins like magnesium, iron, sodium, calcium, potassium, copper, phosphorus, and vitamins A, E, and K.
Below are the wonderful health benefits of this citrus fruit. Limes help the body to properly absorb and utilize iron; iron is an essential mineral needed by the body to produce red blood cells and hemoglobin which helps in the transport of oxygen throughout the body. A deficiency in iron leads to anemia; it causes dizziness, lack of energy, restlessness, hair loss, brittle nails and other symptoms of anemia. Regular intake of limes help guard against iron deficiency anemia especially in those who are prone to this condition, this includes women with heavy flow, vegetarians, and aged individuals. The ascorbic acid present in limes increases the rate at which the body absorbs and utilizes iron, thus preventing and treating anemia; taking lime water along with your meals increases the absorption of iron by 67%. Taking limes Or lime water regularly is one of the best ways to keep kidney stones at bay; their rich content of citric acid increases the production of urine and urinary citrate thus preventing the formation of kidney stones. The rich amount of vitamin C present in limes helps in boosting the immune system; this also helps to treat diseases and infection, it shortens the duration and severity of an illness and it increases the content of antioxidants in the body. Lime water or lime juice is employed in the treatment of pneumonia, malaria, and diarrhea; they fight free radicals and neutralize their effects, they protect the cells, tissues, and organs of the immune system and regular intake of limes keep diseases and infections at bay. Lime water is an excellent weight loss therapy; it burns fats, it is low in calories and carbs, it reduces body weight and gives one a healthy weight. The most impressive and unbelievable health benefit of lime is its ability to fight off cancer; its rich content of antioxidants destroys cancer cells in the body, they fight free radicals which can cause cancer, DNA damage, and mutations in the body. They contain many powerful phytonutrients like limonoids, flavones, triterpenoid, and flavonoids; these fight cancer and reduce the risk of chronic diseases. They are effective against all forms and types of cancer. Heart disease is a major killer disease worldwide. It is responsible for millions of death worldwide and a way to keep this chronic disease at bay is to regularly add limes and lime water to your diet. Limes reduces the risk of heart attack and other cardiovascular diseases. It protects the heart, it prevents the buildup of plaques on the walls of the arteries and it slows the progression of atherosclerosis and lowers the risk of stroke. There are healthy acids contained in limes which help to detoxify the skin and keep it healthy; these acids remove dead skin cells, they help in the production of collagen, they renew the skin, improve complexion and fade scars and blemishes and they also improve the texture of the skin. They fight skin problems, skin infections, and other skin disorders; they reduce the signs of aging and prevent premature aging, the juice of lime is used in curing acne, rashes, pimples, bruises, eczema, and scars. It prevents and treats skin damage caused by toxins and chemicals, sunlight, pollution, and dust. It has astringent properties that fight wrinkles, fine lines, age spots and tones the skin and makes it elastic. Limes help in the breakdown and digestion of foods; they contain flavonoid which stimulates the digestive system and increase the production and secretion of digestive enzymes, bile, digestive juices, and acids. They also stimulate peristaltic movement. Their rich content of acids cleanse the excretory system, enable regular movement of bowels and prevent constipation. An excess of lime juice with salt is taking to relieve constipation; this is a natural purgative and it gives no side effect. Limes contain limonin glucoside and other limonoids; these are powerful compounds with antioxidant, detoxifying, anti-carcinogenic and antibiotic properties. These flavonoids and the acids present in limes react with the gastric juices in the stomach to give an alkaline environment which reduces the concentration of stomach acid and it also enhance the healing of gastric and peptic ulcers. They heal wounds and ulcers in the digestive and excretory system; this helps in the treatment and eradication of piles, it prevents the formation of piles and also prevents re-occurrence. 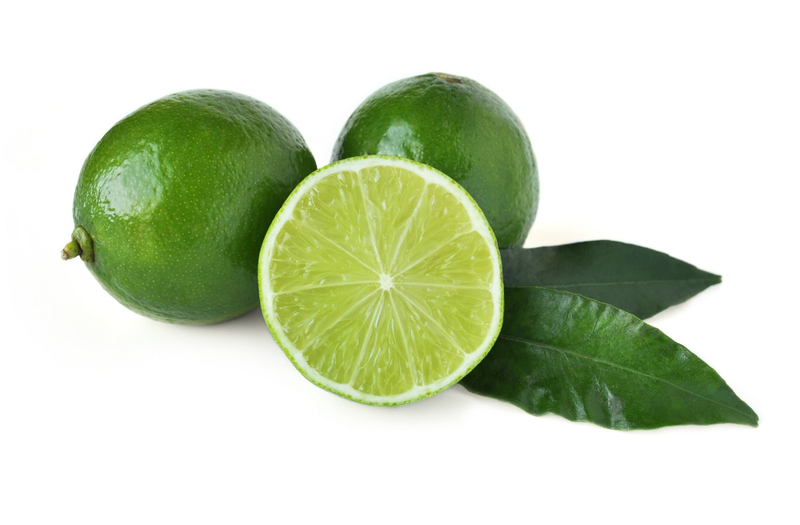 Limes contain flavonol glycosides; these are strong antibiotic compounds that help in fighting a wide range of harmful microbes, they are also effective against Vibrio cholera, the causal organism of cholera. Lime water is given to cholera patients to help them fight off the infection; the water also serves as a natural disinfectant. Make lime water by mixing an equal portion of lime juice and pure water together; take at least a cup of lime water to daily to boost your overall health.